VAN HORN, Texas -- Authorities were scouring West Texas on Monday for those behind an incident that left one U.S. border agent dead and another injured. U.S. Customs and Border Protection issued a statement Sunday that was thin on details about what happened, saying the two agents "were responding to activity" while on patrol near Interstate 10 in the area of Van Horn, which is about 30 miles from the border with Mexico and about 110 miles southeast of El Paso. Officials from the FBI issued a statement Monday evening saying an incident took place Sunday at 11:20 p.m. local time and that the two agents were found in a culvert adjacent to Interstate 10. The FBI is investigating the incident. 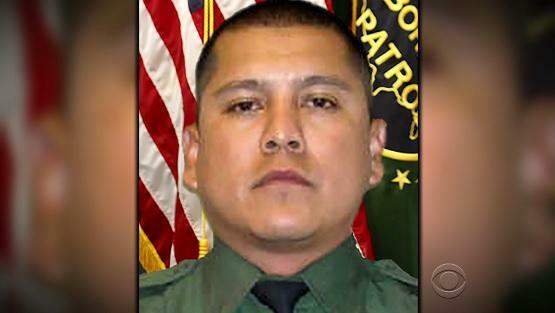 A federal law enforcement source briefed by border patrol agents in the area said Martinez was apparently ambushed after he exited his vehicle to follow what is referred to as "traffic activity." This could be drug traffickers, illegal aliens or even a set up to attack an agent, CBS News senior investigative producer Pat Milton reports. Martinez was possibly alerted to the activity by ground sensor alerts used by agents to detect movement. The area where he was attacked is know known as Big Bend, which runs along the U.S. border and Mexico. As is protocol, Martinez radioed in that he was exiting his vehicle. He followed a trail of what was possibly footprints in the dirt and provided his location. Another agent on patrol responded to assist within a short period of time. The source told CBS News' Milton it appears that when that second agent arrived, he found Martinez badly injured with severe trauma to the head with a large amount of blood loss. Neither agent had their weapons drawn, the source said. "Everything that the agents are telling us that were there on scene is that it is consistent with having been assaulted with possibly rocks," Art Del Cueto, vice president of the National Border Patrol Council, told CBS News correspondent David Begnaud. CBS News, however, has learned that an internal email, sent yesterday, within U.S. Border Patrol, states that it's unclear whether the agents were attacked or fell into a ravine. In the Monday evening statement from the FBI, it stated that it investigates when it suspects "a member of the federal law enforcement community has been the victim of a violent assault." The second agent, who was not identified, at this time has no memory as to what's happened to them. The second agent was attacked with severe injury to the back of his head but he managed to call for assistance, Milton reports. CBS affiliate KDBC-TV reports that Martinez went to Irvin High School in El Paso, Texas. One of his high school friends told the station Martinez graduated in 1999. The friend said Martinez was a brother and a father. President Trump said the second officer was "brutally beaten and badly, badly hurt" but "looks like he'll make it." In a tweet Sunday, Mr. Trump said, "We will seek out and bring to justice those responsible," and reiterated his call for a border wall with Mexico. Without elaborating on what happened to the officers, Texas Gov. Greg Abbott called the incident "an attack" in a statement. Republican Sen. Ted Cruz also referred to it as such, saying in a news release: "We are grateful for the courage and sacrifice of our border agents who have dedicated their lives to keeping us safe." Abbott has authorized a reward -- through the Texas Crime Stoppers program -- up to $20,000 "for information leading to the arrest and conviction of the person or persons responsible for the murder of a U.S. Border Patrol agent and the serious injury of another," the governor's office said Monday in a news release. Jeanette Harper, FBI spokeswoman for the El Paso field office, told the San Antonio Express-News only that Martinez and his partner were "not fired upon." The Border Patrol website lists 38 agents, not including Martinez, who have died since late 2003 -- some attacked while working along the border and others killed in traffic accidents. Martinez is the second agent to have died this year.